TenaxInternational@ Ecomondo - Tenax International s.r.l. Hall A7C7 Booth 7- West Entrance. 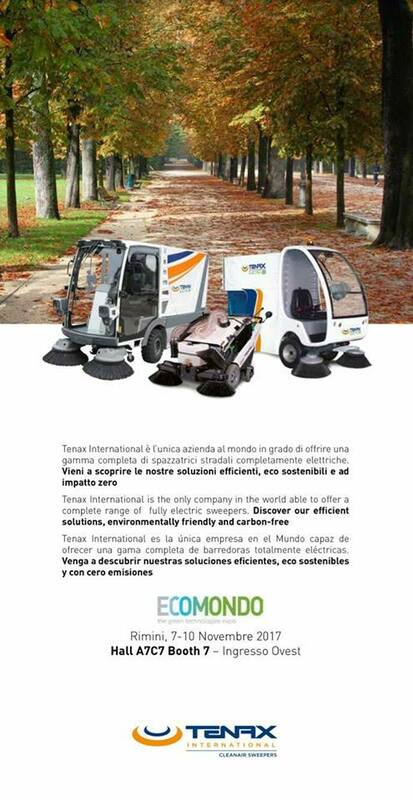 Come to discover our wide range of electric street sweepers and find out more about Electric World!